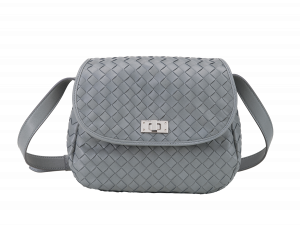 Single compartment crossbody bag. 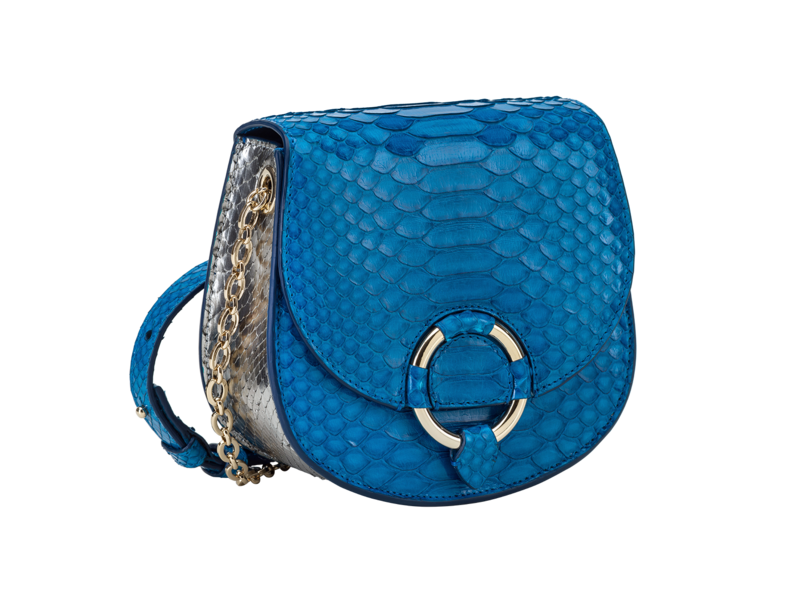 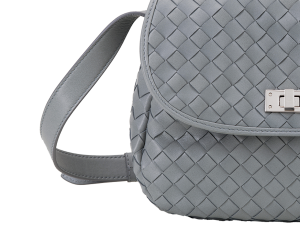 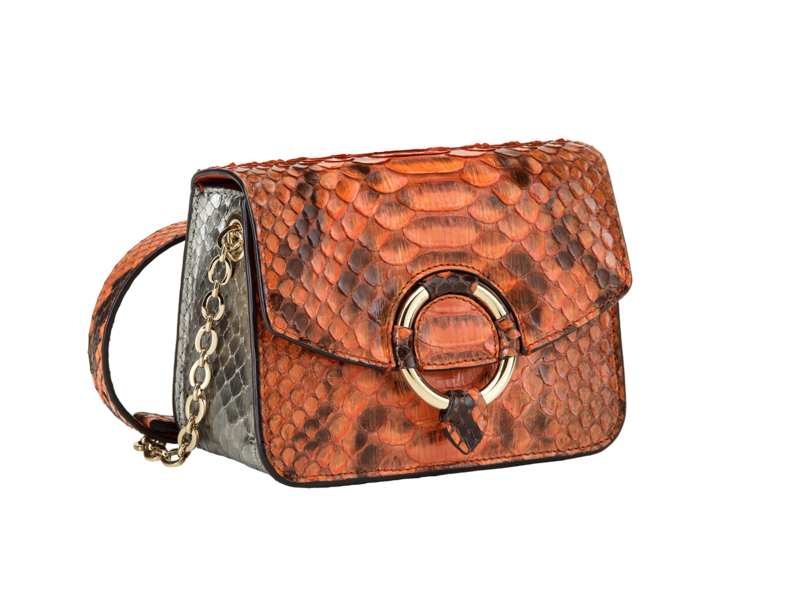 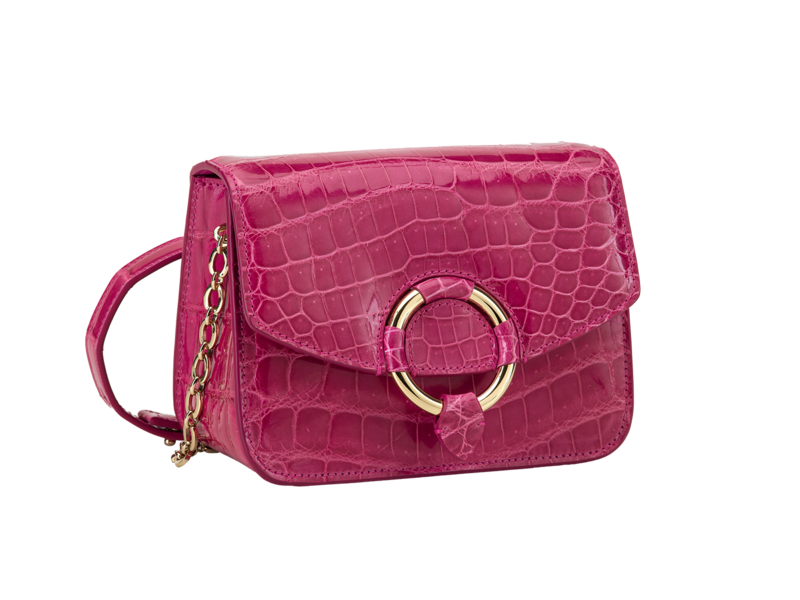 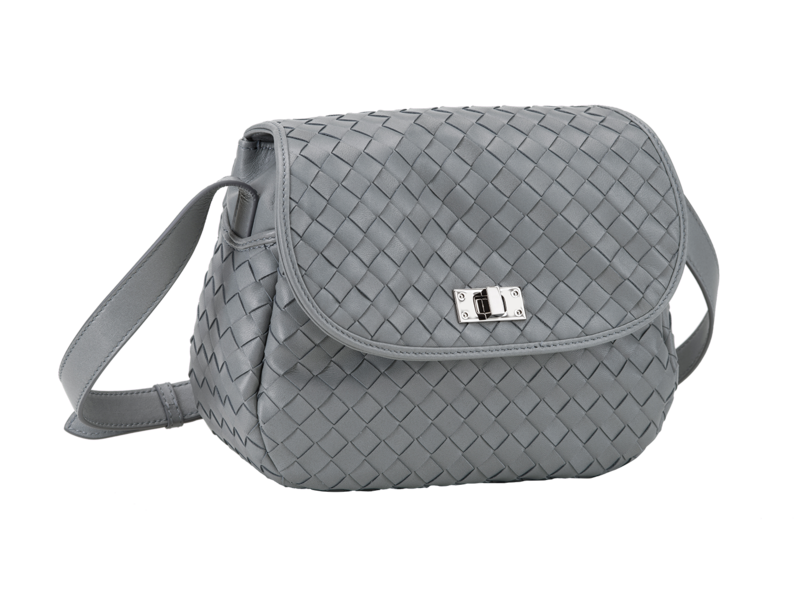 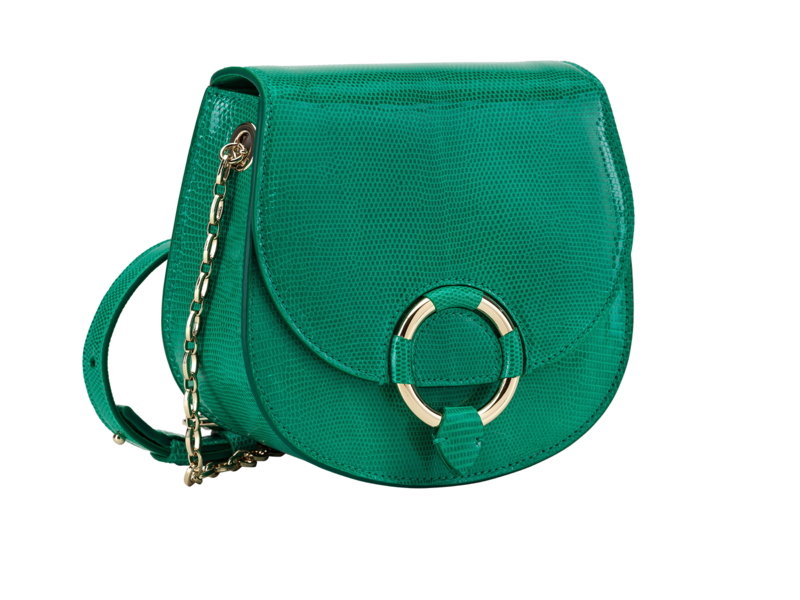 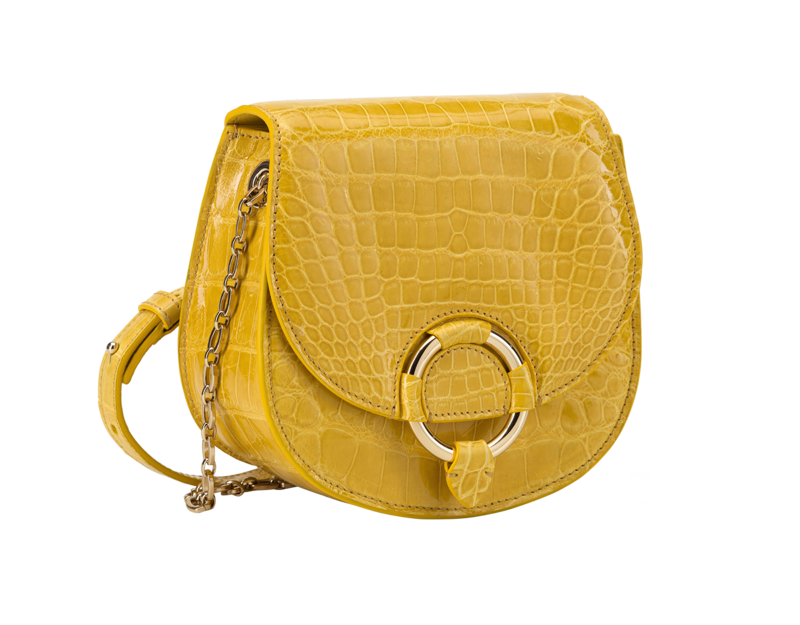 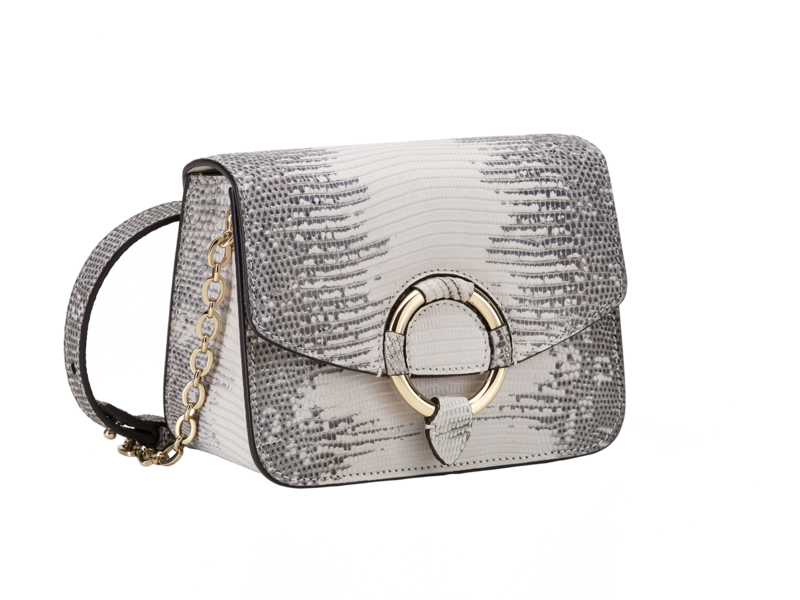 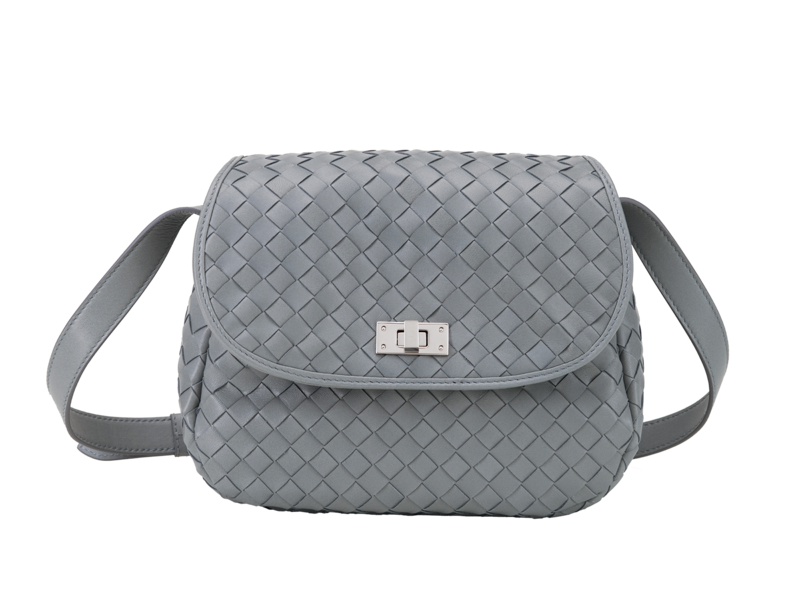 Interlocking metal closure and adjustable shoulder strap in precious material. 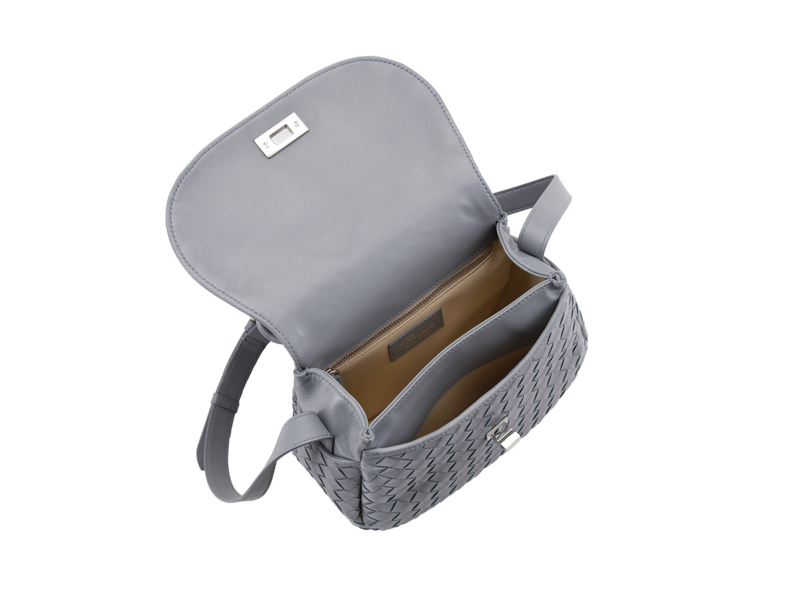 Single internal compartment with pocket.